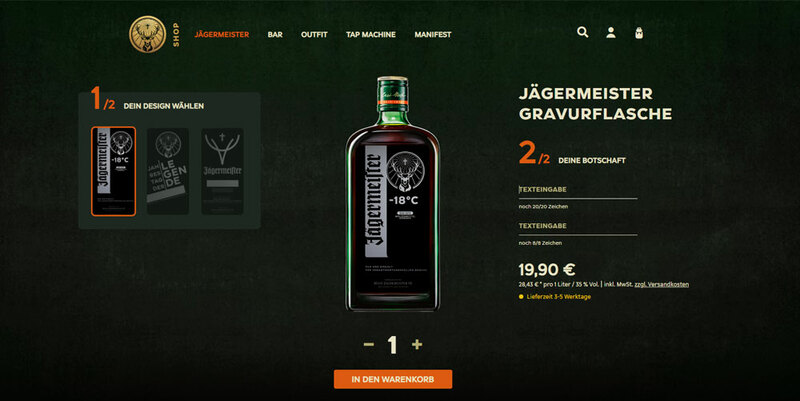 The possibilities for customisation were an important requirement of the Jägermeister relaunch. 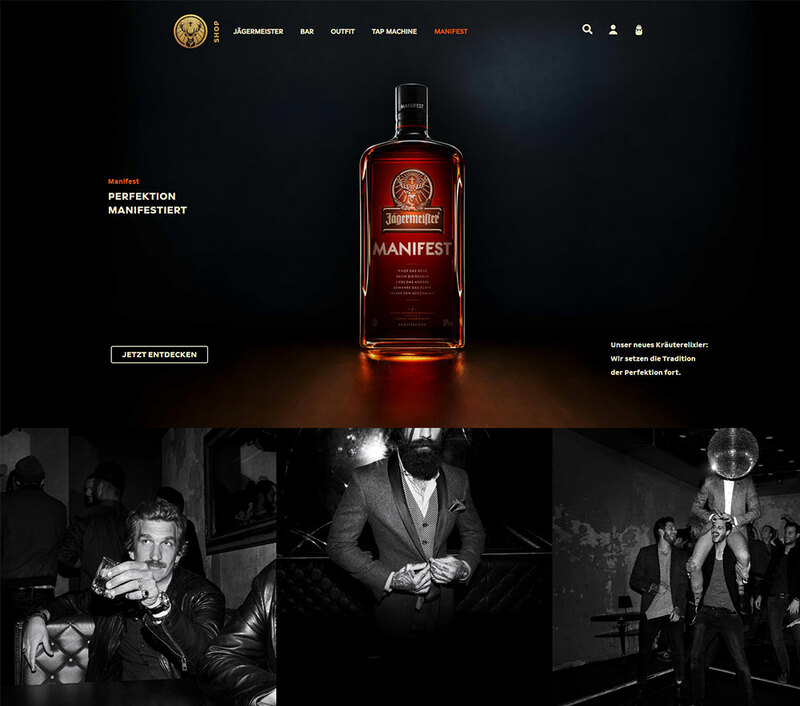 Liqueur bottles can be selected from three templates, which are engraved with personalised lettering and simultaneously displayed live as a preview image. 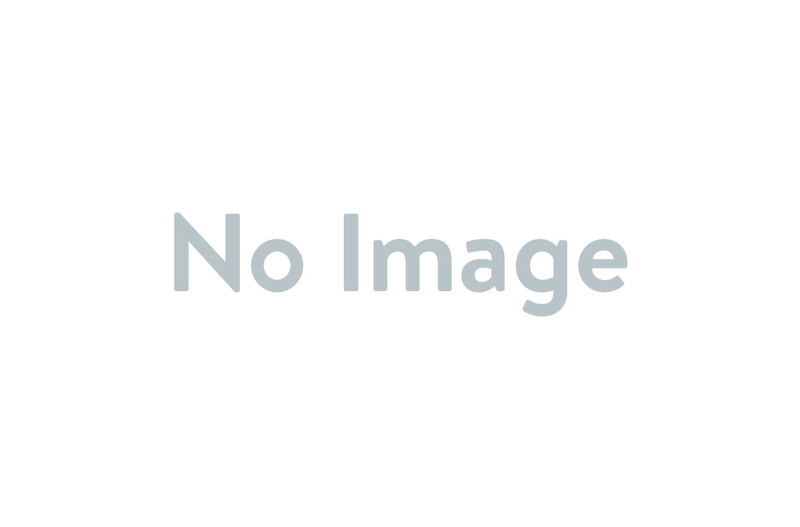 This feature imposed special demands on the shop system, which we were able to meet with the Premium Plugin Custom Products. The project was implemented by the certified Shopware Enterprise Partner Neofonie. Thanks to the strong cooperation of all three parties, the relaunch was carried out in only six months. Thanks to many years of experience as a Shopware partner, Neofonie was able to tailor the software and particular plugins to the client's requirements. Dominik Müller draws a positive conclusion from the project: "Working together with a certified partner agency – which we had deliberately decided to do – meant everything went smoothly. The deadline was met and we are completely satisfied. We will continue to collaborate on the Shopware shop in the coming years."